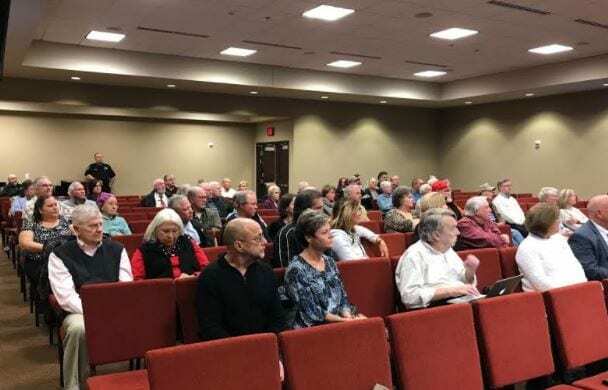 DAWSONVILLE, Ga. – Nearly one year after the Dawson County Board of Commissioners turned thumbs down on Dawson Forest Holdings plans to build 177 single-family homes and 95 townhomes near Hwy. 53 and Elliott Road, the plan resurfaced at Tuesday’s Planning Commission meeting. It turned out to be no more popular in 2017 than it was in 2016. 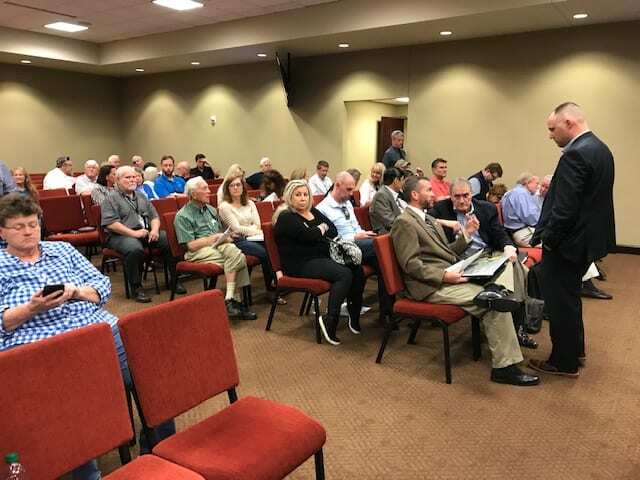 Dozens of area residents braved evening thunderstorms to attend the meeting and many stood up to voice their opposition to the plan. When the Planning Commission voted unanimously to recommend denial on two separate applications for a variance, the opponents applauded the commission’s decision. Attorney Joshua Scoggins, who represents Dawson Forest Holdings, said there had been some “legal deficiencies” with the application last year and that a Superior Court judge had remanded it back to the county so those could be corrected. “That’s the reason we are coming back before you,” he said. There were two variances applications. The first called for 15.828 acres to be rezoned from residential agriculture (RA) to residential multi-family (RMF) to build a 95-unit townhome community. The second requested that 59.497 acres be rezoned from RA to RMF to build 177 single-family homes. 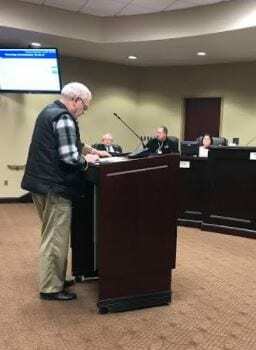 Hugh Stowers speaks in opposition to Dawson Forest Holding development. Tony Passarello voiced concerns about the added traffic along Hwy. 53, a major artery between Dawson and Hall counties. Passarello added that approval of the variance would create a density that will “have a serious effect on the safety of existing and future property owners in the area. The proposal now goes to the Board of Commissioners for a final decision. 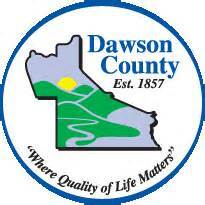 Planning Commission meeting set for 6 p.m. Tuesday on second floor of the Dawson County Government Center. 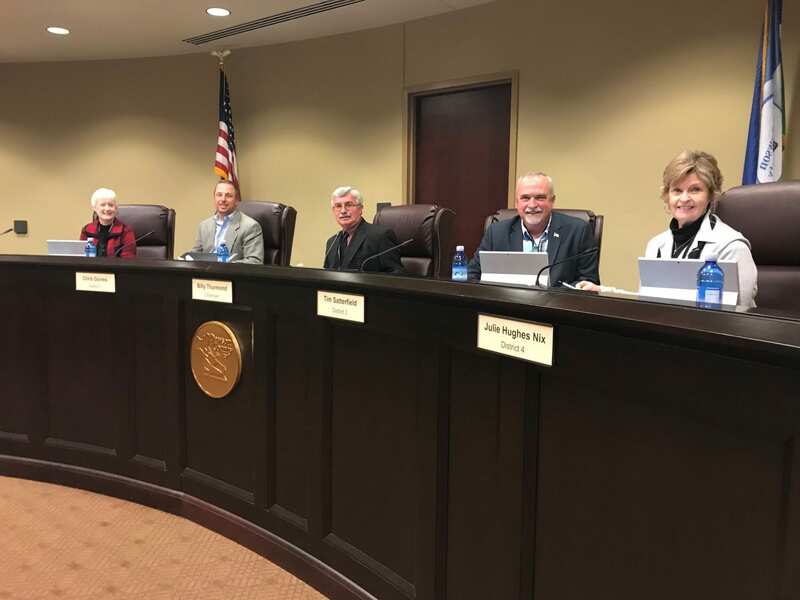 DAWSONVILLE, Ga. – A controversial rezoning request denied by the Dawson County Board of Commissioners one year ago, almost to the day, is back on the planning commission agenda Tuesday, Dec. 19, at 6 p.m. 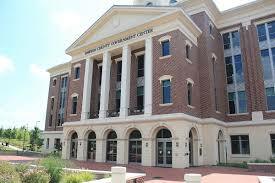 The meeting will be held on the second floor of the Dawson County Government Center. Bill Evans, of Dawson Forest Holdings, has submitted two applications. One would allow him to build 95 townhomes on property located at 20 Hughes Court and the other to build 177 1,200-square foot, single-family houses on property located on Hwy. 53, adjacent to Fire Station No. 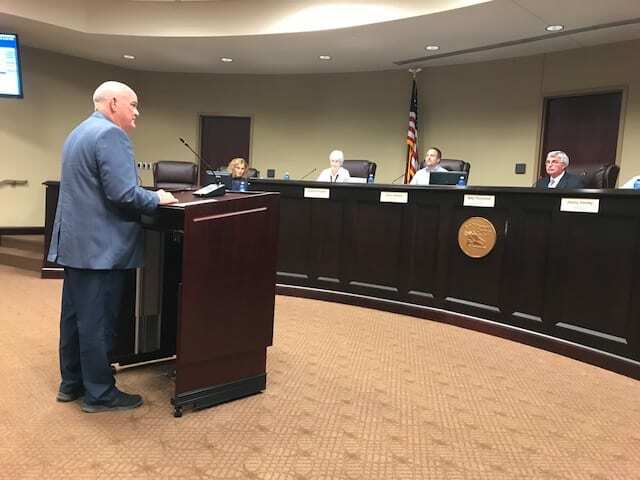 2 and the Tractor Supply Co.
Area homeowners, who joined forces to oppose the influx of new housing last year, attended county commission and planning commission meetings and submitted a petition signed by more than 400 area residents in opposition of the applications. On Dec. 13, 2016, commissioners unanimously denied the application stating the developer’s plans did not align with the future land use plan for the area. In January, Evans sued the county, the board of commissioners and each commissioner individually for denying the applications, stating the commission’s refusal to rezone the parcels from residential agricultural to residential multi-family violated his constitutionally protected right to use his property for any lawful purpose. Tony Passarello, an Elliott Road resident, sent an email last week urging residents to attend Tuesday’s planning commission meeting. Bill Evans Dawson County Board of Commissioners Dawson County Government Center Dawson County Planning Commission Dawson Forest Holdings Tony Passarello Tractor Supply Co.